As of Jan 2012, the title of this project has been tweaked to ‘glitching’. This seems to make more sense, making it an activity, like ‘running’, ‘dancing’ etc. Also in Jan, the project team came together for a week long development workshop. 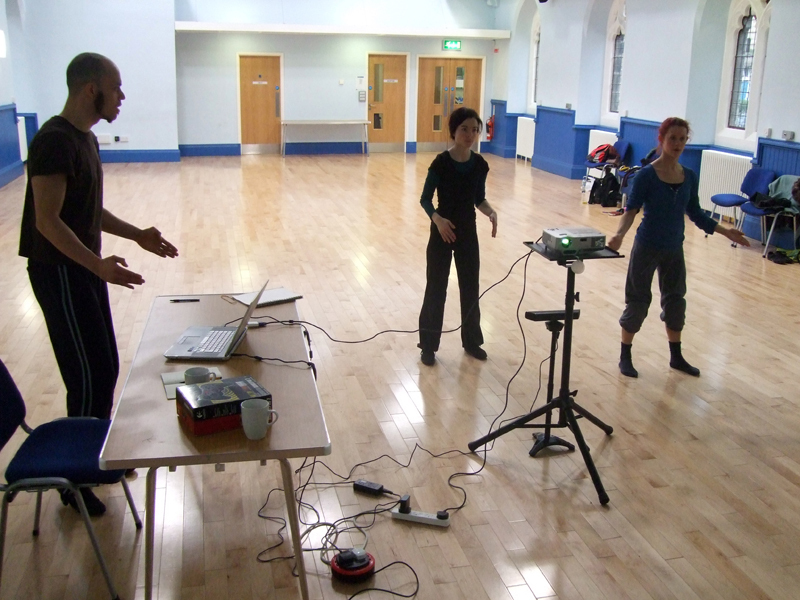 Myself, Tony Mills, Hannah Seignior, Felicity Beveridge and Martin Parker worked at the Calton Centre, Edinburgh on the performance version of the project, which was very productive and great fun. Hemal Bodasing was doing a sterling job behind the scenes making multiple updates and revisions to the Unity project as we fed back suggestions throughout the week. 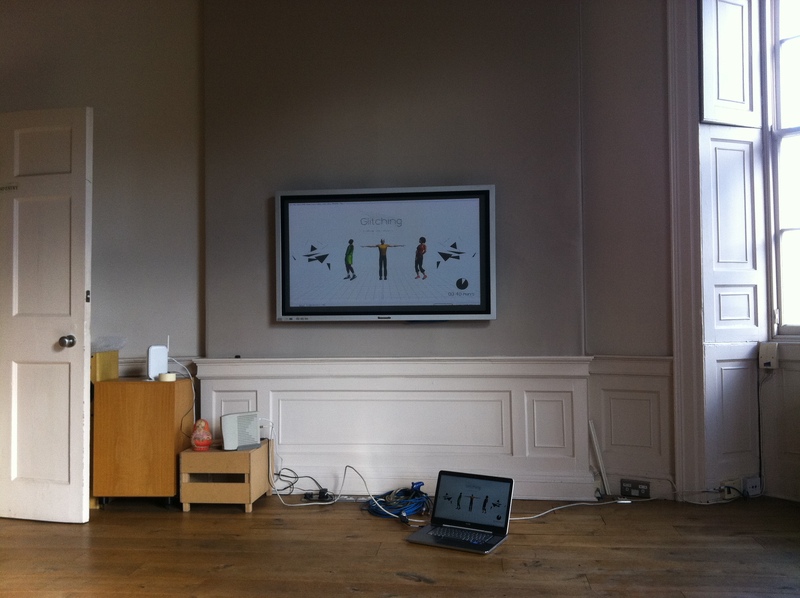 Chris Davies, at Interactive3, ever helpful, also provided his expertise in MotionBuilder to bring it all together. 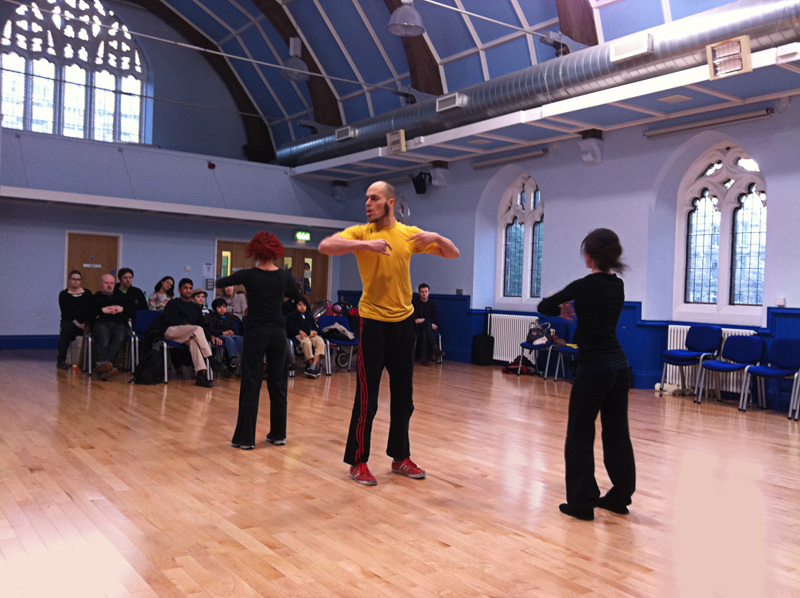 As a result we presented a ‘showing’ of the performance version, in progress, on Friday 27th Jan. 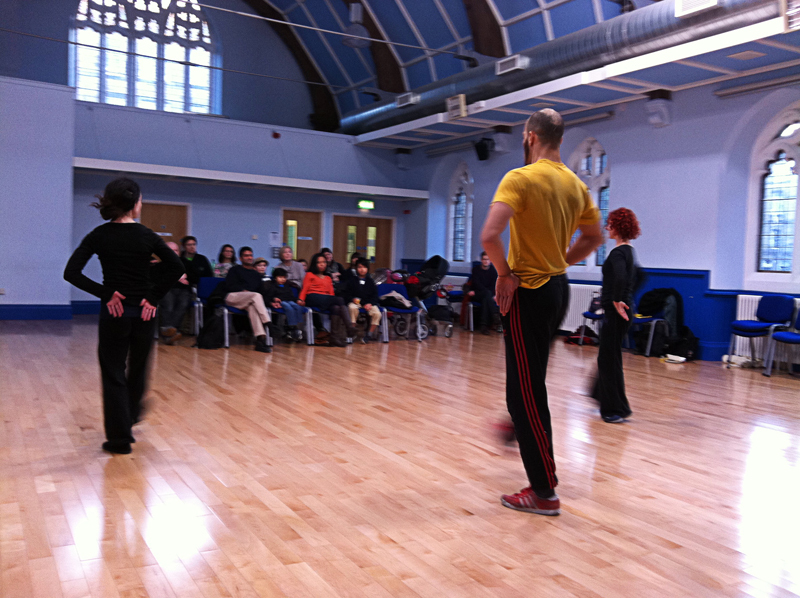 Many thanks to all who came along, took part and gave your very useful feedback.